לא הזכיר משה בזה הסדר, מה שאין כן בכל החומש, שמשעה שנולד משה אין סדר שלא הוזכר בה. והטעם משום שאמר מחני נא מספרך אשר כתבת, וקללת חכם אפילו על תנאי באה, ונתקיים בזה. The name of Moses is not mentioned in this portion, unlike the rest of the Pentateuch, where, from the moment that Moses was born, there is no portion that does not mention him. The reason for this is because (when Moses prayed to God that he should forgive the Jewish people for the sin of the golden calf) he said, "[And now, if You will forgive their sin--, and if not] erase me from Your book which You have written." (Exodus 32:32), and [there is a principle (Talmud, Makkos 11a) that] the curse of a chacham (wise person) is fulfilled, even if it is conditional. [The curse] was fulfilled in this (i.e. the omission of his name from this portion). The question that remains, however, is why God chose to omit the name of Moses specifically from Parshas Tetzaveh, especially being that Tetzaveh precedes the verse in which Moses asked to be "erased" from the Torah. The Vilna Gaon, R' Eliyhau of Vilna, famously explained (הובא בספר קהלת יצחק עה"ת) that God chose Parshas Tetzaveh for this purpose because the seventh of Adar, the yahrtzeit (anniversary of the passing) of Moses, almost always occurs the week of Parshas Tetzaveh. Moreover, the Vilna Gaon continues, there are 101 verses in Parshas Tetzaveh. This number is equivalent to the numerical value of the "hidden" portion of Moses' name. Most of us are familiar with the concept of gematria, the idea that Hebrew words have numerical values. The "hidden", or nistar, value of a word is calculated by spelling out each letter in full, and calculating the value of the additional letters. For example, the letter 'א is spelled in full as אל"ף, thus the "hidden" letters of 'א are ל"ף, with the numerical value of 110 (the full value of the letter 'א is 111). The name of Moses is משה. The letter 'מ is spelled מ"ם. The letter 'ש is spelled שי"ן. The letter 'ה is spelled ה"א. The hidden portion of Moses' name is therefore מינ"א) 101). Thus, even though Moses's name is not mentioned explicitly in Parsha Tetzaveh, in reality it is still there in a hidden form. 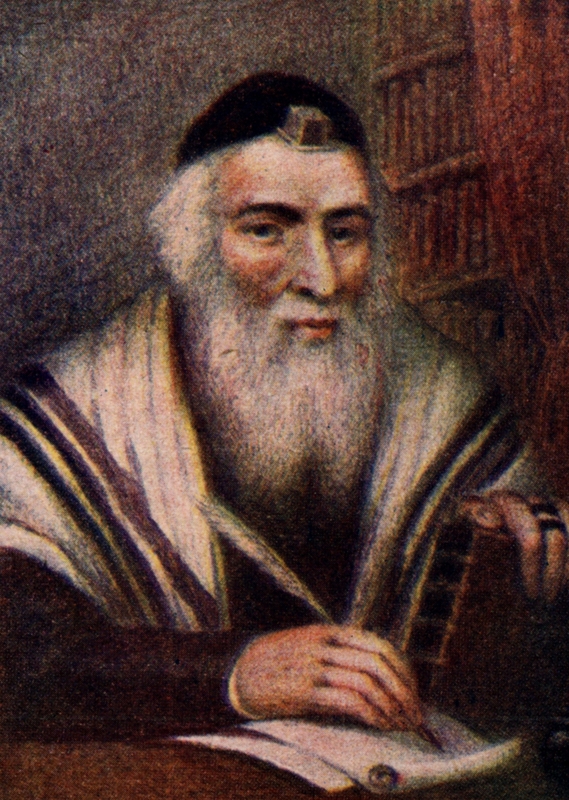 The Vilna Gaon explains that this is intended to teach us that even though Moses is no longer with us physically, his inner spiritual essence is still with us in the form of the Torah that he taught us and the great deeds of righteousness that he performed. Perhaps we can expand on this idea in connection to Purim. Just as Moses is not mentioned in Parshas Tetzaveh, the name of God is not mentioned in the book of Esther! The Talmud (Chullin 139b) tells us that God hid His face in the days of Esther, and through the entire megilla we do not read of a single super-natural event. The lesson of Megillas Esther is that we must recognize God's miracles and providence even in what appear to be ordinary events. Even when we cannot perceive God openly, we must always know that He is still with us.